The first model in the AGONIUM collection. Beneath its rebellious, Gothic outer shell lies true substance. Before being a timepiece, MEMENTO MORI is a reflection of our existential questions. 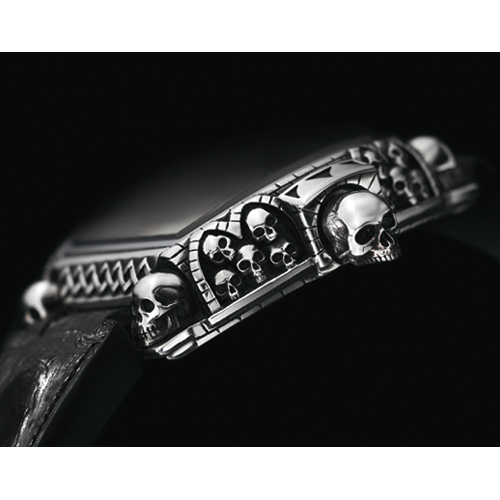 While the primary function of MEMENTO MORI goes beyond the measure of time, it no less does justice to Swiss watchmaking expertise. The case, carved from a single block, represents the fusion of watchmaking and metal art. Gold, silver, platinum and palladium, as many versions as moods, are brought to life by the artist's talent. The sculpted case encloses the inner case that holds the movement, an ETA 2824 calibre. 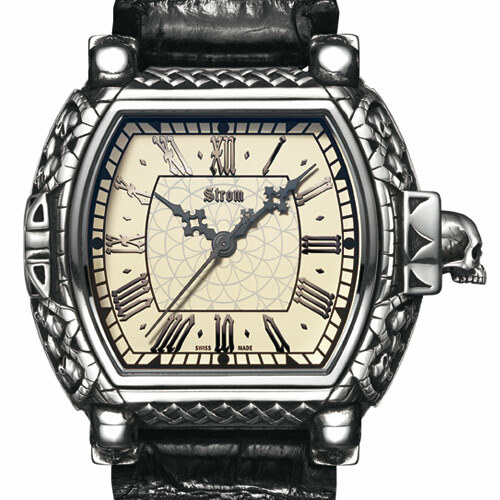 As for the dial, it borrows the hallmarks of two world-renowned clocks: Big Ben in London and the Zytglogge in Bern. 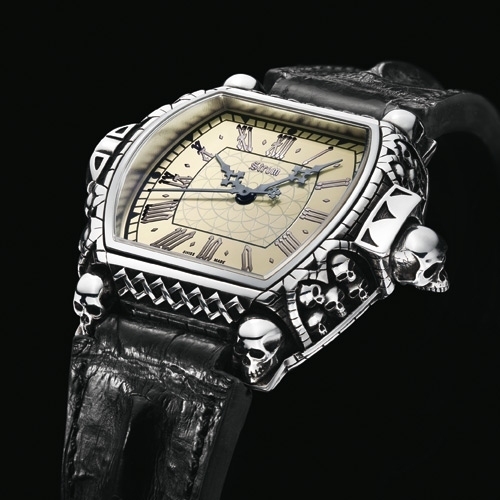 "Bone white" or black with twelve Roman numerals, it is the epitome of discretion. A trio of hands counts time: hours, minutes and seconds.